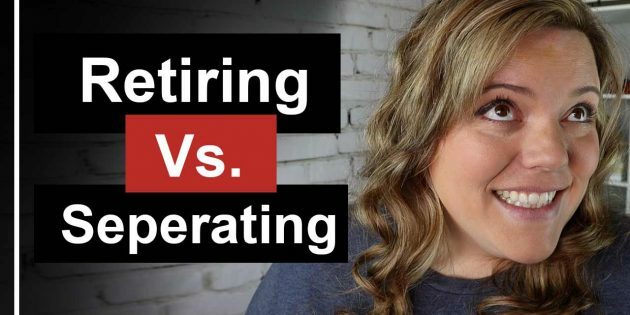 Separating vs Retiring from the Military // There is a range of benefits and differences when retiring from the military or separating from the military. In the U.S. armed forces, separation means that a person is leaving active duty, but not necessarily leaving the service entirely. Separation typically occurs when someone reaches the date of their Expiration of Term of Service (ETS) and are released from active duty, but still must complete their military reserve obligations. Upon separation, they receive form DD214, which indicates their former and future status. When a person completes their full military obligation, they are discharged and receive a formal certificate of discharge, usually an Honorable Discharge.